The map below shows the temperatures reaching 27 celcius tomorrow 8th August actross Nepal. 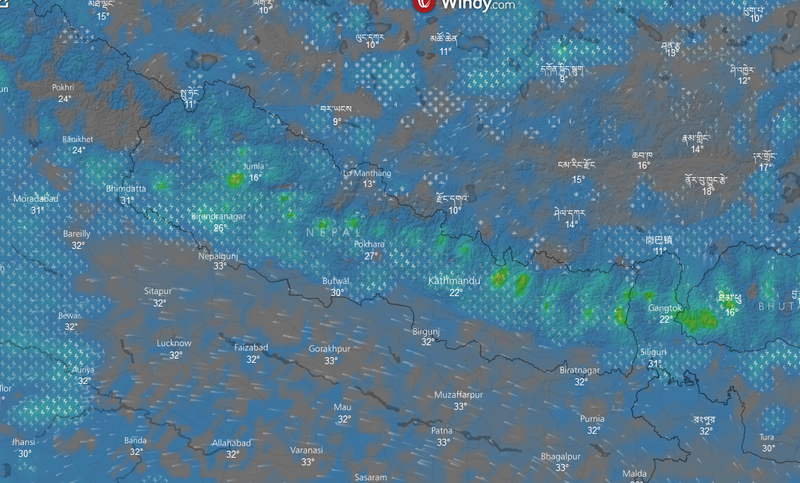 Below the map shown the widespread rainfall spread across Nepal tomorrow 8th August 2018. 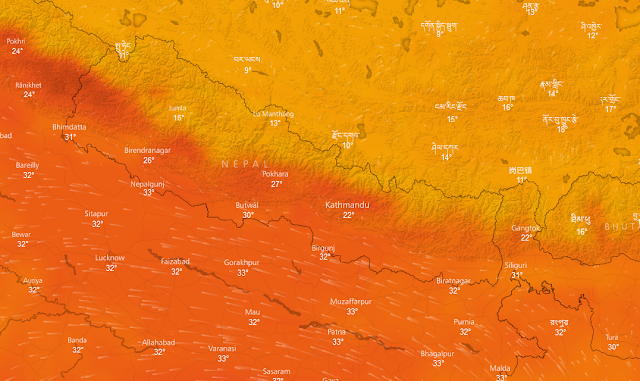 So it seems to be a hot and humid day.